After doing a quick search for “Business Plan,” I was presented with over 517,000,000 (.69 seconds). Needless to say, I think there is plenty of information out there on how to create a business plan. So there is no need for me to talk about the topic. 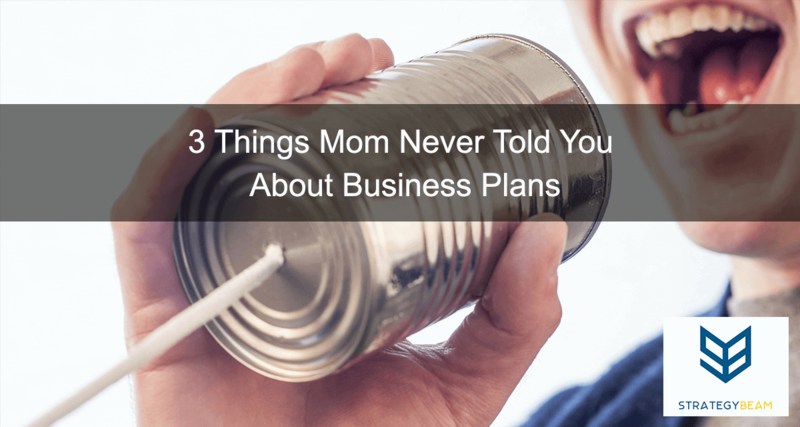 Plus, I don’t want to talk about business plans because honestly, I think business plans are the biggest waste for a new or seasoned business. It’s not that I dislike the idea of a business plan. I think a business has to come into the market with an intentional drive and focus on the problems they are trying to solve. However, I believe business plans are an excuse and a “cop out” for business leaders to stay focused on themselves, their egos, and their vision. Rather than focusing on the customer, business owners like to waste time at their desk writing business plans. Business plans inherently force you to focus on your business and your solution first. This is a mistake because it sets the tone and puts your focus on what you can provide. It frames your mind on what you want and what you have for your customers. This means a business plan blocks you from thinking about your customers first. It is better to spend a few minutes talking to real customers to understand problems that exist. This will help you create a better product, provide better service, and (ultimately) be more successful. Validating customer problems should be the first thing you do for your business. Then spend all your time solving those problems. Just thinking about how much time is wasted on business plans makes me cringe. I think most companies spend a lot of time creating fancy business plans because they are scared of taking a risk and getting actual results. Many people choose to sit in the comfort of their office instead of talking to customers. Business plans give you an “out.” Successful companies don’t look for ways to remove themselves from their clients. This is why your business should not start with a business plan! bet your plan of activities is providing you as much benefit as mine did for me. None. The main issue I have with business plans is that they are self-facing, and keep the customer and problem as a secondary issue. Writing a business plan is too easy, and requires too little risk to be meaningful. There is no danger sitting at your desk. The lack of risk is one of the leading indicators that business plans are busy work. If you are a firm believer in creating a robust business plan, I challenge you to build a strategy using the Business Model Canvas and Value Proposition Canvas. These tools force you to look at how to develop your business in a more constructive fashion while keeping your focus on your audience and their needs. Always think about your customers and validate their concerns. Don’t reflect on your business. Reflect on how your business can serve your clients! A business plan is a great tool, but it is a false positive when it comes to a great business. Now it’s your turn. Did you create a business plan for your business, or did you take a different approach? Let me know in the comments below!